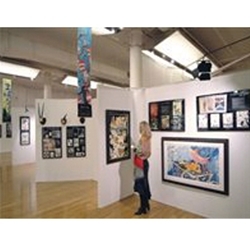 ACRYLITE® UV filtering (OP3) acrylic products offers museum-quality UV protection, and the beautiful clarity of the finest picture frame glazing, without the heaviness or breakability. It is a safer alternative at half the weight of glass, many times more resistant to impact, easier to handle, and more economical to ship. ACRYLITE® UV filtering acrylic offers the highest protection from the irreversible effects of UV damage. It protects from both natural and artificial light, protecting paper-borne artwork, prints and documents from fading, yellowing and brittling. ACRYLITE® sheet’s UV protection is part of the structure of the sheet, it can’t scratch off!